Join Pastor Rod Hembree as he furthers his introductory teaching on how to read and understand the everyday basics of the Bible. 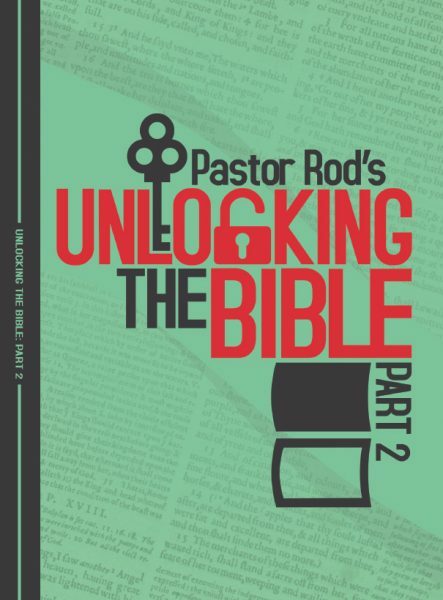 Unlocking The Bible: Part 2 presents a simple and Spirit-led approach to enhance your personal study in the Word of God and encourage a stronger faith in Jesus Christ. In the first part, we highlighted the source of correct biblical interpretation with the most crucial element being the Spirit of Analogy. Many recognize this but don’t really know how to apply it in their Bible reading. In Part 2, we extend the basic and best way to understand the Word of God.